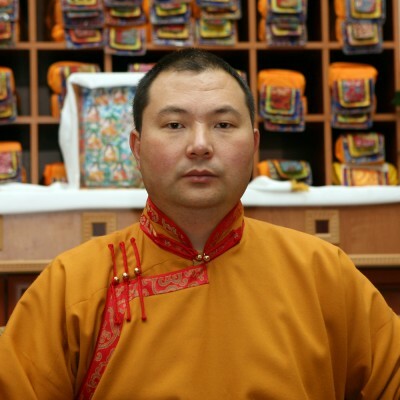 (TibetanReview.net, Oct26, 2014) – The exile Tibetan administration at Dharamshala has appointed Telo Tulku Rinpoche as the Honorary, new Representative of His Holiness the Dalai Lama at the Tibet Culture & Information Centre (Office of Tibet) in Moscow, Russia. He is the spiritual head of the Buddhist community in the Kalmyk Republic of the Russian Federation. Telo Rinpoche was born to Kalmyk Mongol parents in the USA and pursued his religious education at a Tibetan Buddhist Monastery in south India since he was seven years old following his recognition by the Dalai Lama. The current Representative, Dr Ngawang Rabgyal, has been appointed a Secretary at the Department of Education, Central Tibetan Administration, Dharamshala. Both take charge of their respective new responsibilities as soon as their transfer paper works are completed.